This property is a unique jewel on the coast of Beaufort SC. 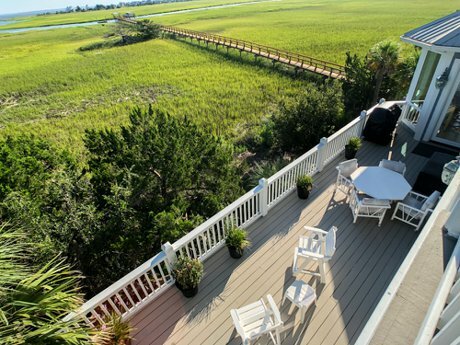 Located on the peninsula of Harbour Key which is a small gated section of Harbor Island SC. 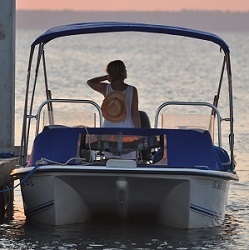 A very rare find to have a well protected deep water creek and dock this close to the Atlantic Ocean and some of the most pristine boating areas along the South Carolina coast. Excellent construction and very well maintained home and private dock. 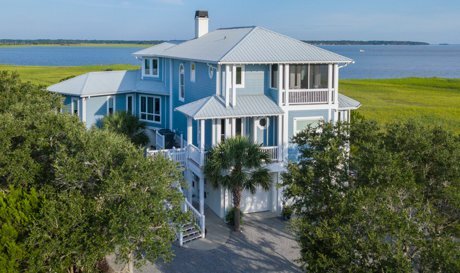 Come see this deep water home with some of the best views of any property in the Beaufort SC area. 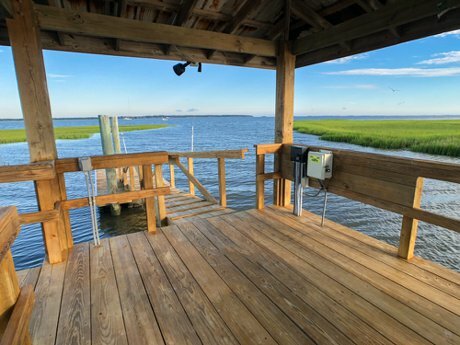 For those looking for a convenient and affordable place to retire, you might want to consider purchasing a home on the waterfront coast of South Carolina. For the past several years, the South Carolina coast has seen increased home buying activity from retirees. 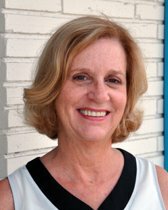 One of the reasons many retired couples and individuals are relocating to the South Carolina coast, is because it is affordable and it also provides them a whole new atmosphere. In many cases, these retirees are coming from cold weather places like New England and the upper Midwest. For the past thirty to forty years, they have had to deal with bitter cold temperatures and frequent snow storms. Enduring this type of weather is manageable (although not particularly welcome) when you are in your twenties, thirties or even forties, but it becomes increasingly tiresome each year after you reach the age of fifty. Because of this, many soon-to-be retirees living in these cold weather states like this are deciding to trade in their snow boots and snow shovels for the warm and comfort of the South Carolina coast. Instead of spending their days shoveling snow and freezing from the cold temperatures, they can spend their days sailing on a boat or fishing in the rivers. In terms of home styles and designs, there are currently homes available to fit all individual needs and budget. For example, there are plenty of homes that have three to four bedrooms and very large kitchens which would be ideal for retired couples who like to have their grandchildren visit on the weekend. Also, there are quite a few homes that are conveniently located to country clubs, tennis courts and golf courses. This homes are great for retirees who enjoy outdoor sports and like to stay active and fit. In addition, most homes also come with fully equipped kitchens, which are designed to help to cut down on cleaning and cooking time. Some kitchen amenities include stainless steel refrigerators and stoves, and also double sided stainless steel sinks. Many kitchens also have slate tile back splash and floors, which makes keeping the kitchen clean much easier. For retirees who enjoy watching movies online or posting updates on their Facebook page, all homes on the waterfront also offer reliable internet service. For those who are interested in purchasing one of these homes but don't know where to get started, there a couple of different ways to research properties. 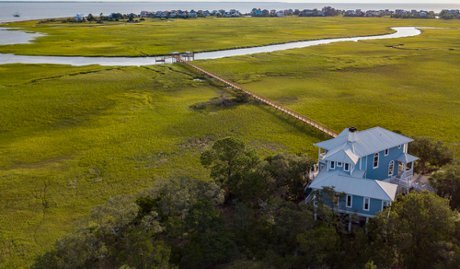 One quick and easy way to find coastal homes for sale, is to input the words waterfront property South Carolina into a major search engine. 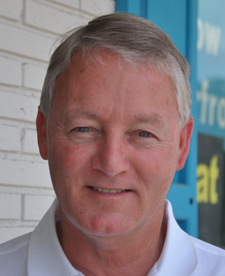 However, if you are not having any luck finding the best available homes (and there’s the trick, some of the best homes are not displayed online on major websites), get in contact with Russ, who will be able to point you in the direction of the best properties available at any time. 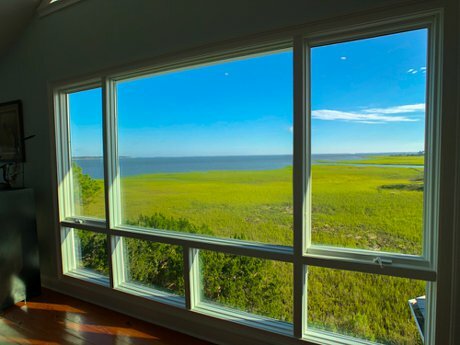 Availing the services of a trusted local is the best way to ensure you get the best bang for your buck, and move to sunny South Carolina without a hitch.